The glamorous awards that are meant to honor the best actresses in Tollywood and other women doing great in their fields was held over the weekend. Women from sports, media, fashion and other fields came looking their best. Many designers got the opportunity to showcase their works. From the hair to the clothes all the way to the shoes the stars attending the event looked absolutely amazing. It was a night to celebrate the heroines and they came out looking the part. Did you miss the Live Telugu TV Channels news, You can find the details of what went down on Zee Telugu Live. 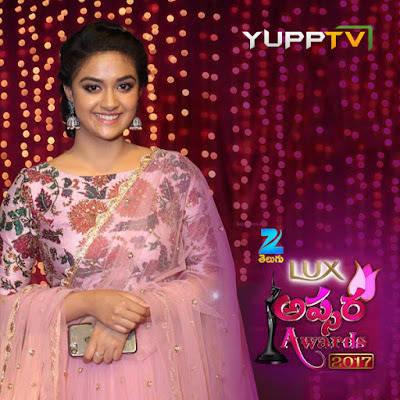 Telugu TV channels Zee Telugu will be airing highlights from the awards. If you are a fashionista you will be able to catch up on the latest trends. From Pragya’s Rahul Khanna + Rohit Gandhi gown to Saris worn by Ritu Kumar and Anu and even accessories like the meenakari earrings on Rakul Preet you will have a great time watching the red carpet divas. For those interested in knowing the winners they will be able to enjoy as well. There is always that look on a winner’s face when they hear their name. Watch those winning moments and see how the different stars reacted to their wins. The thanksgiving speeches that ranged from heartwarming to those not thought of will also be aired on Live Telugu TV channels. Stay tuned to Zee Telugu for more details on hot n happenings of Apsara Awards.